15/11/14. Alqosh, Iraq. 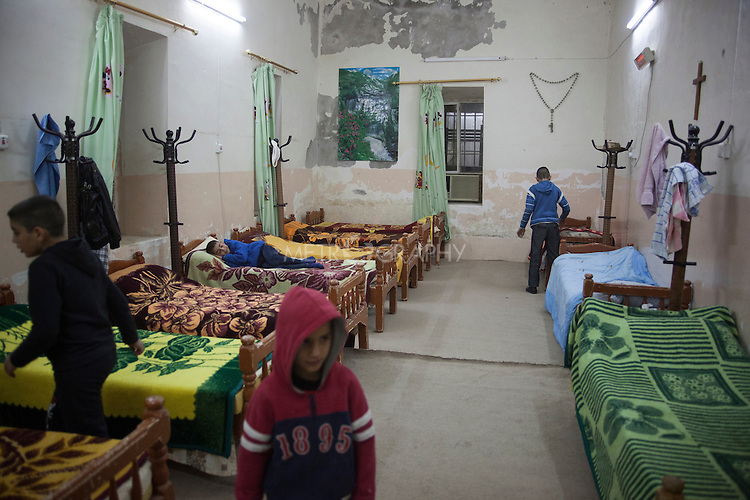 Milad lays on his bed as Wassam (left) and some of the 8 orphans they share a room with tidy their dormitory.